After several days of indulging in mulled wine, cheese, and potato rosti, I figured we were due to do something slightly more labour intensive than raising a plastic cup to our mouths. Over a 10am beer and pretzel, I asked husband what he thought of climbing to the top of the cathedral’s bell tower. He looked down at morning tea and agreed. We arrived around midday to find the gates just being opened, and made our way in – it may be a place of worship, but it gets a lot of international visitors, so you’ll still enter and exit via the small gift shop. 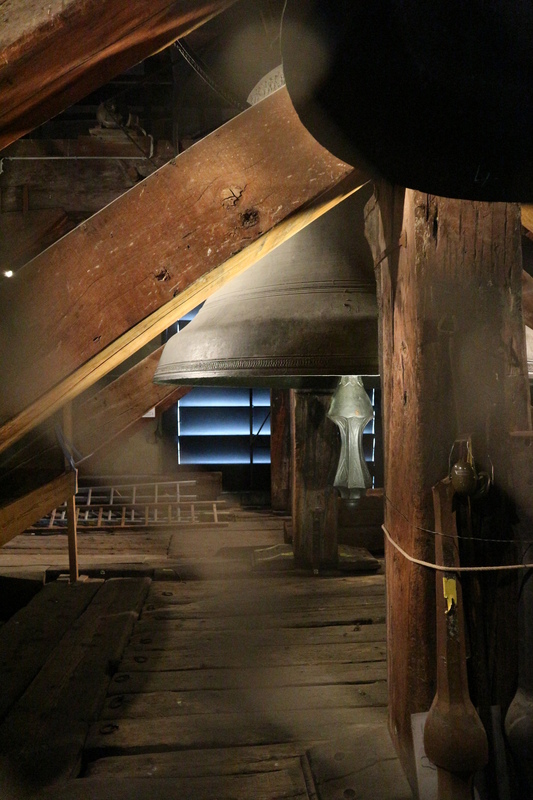 It costs CHF 5.00 (around AUD $7.00) for a ticket to climb the 100 metre bell tower, and there’s only one staircase to take you up and down. One staircase made up of 312 steps. Word of warning: it is small and dark, and as I mentioned, there is only one way up and down, so if you’re on the claustrophobic side, please be careful! But if you can push yourself up, you’ll be rewarded with some really spectacular views over the UNESCO World Heritage city. 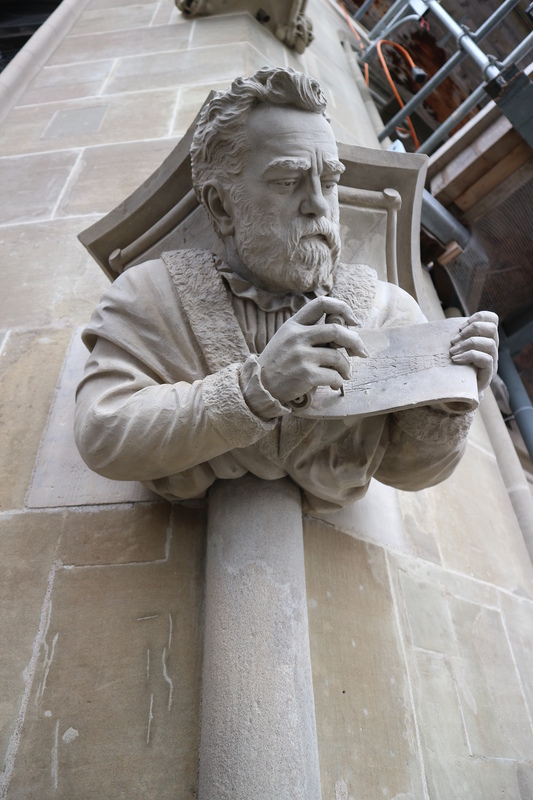 I also really loved the carvings up on the bell tower itself – they’re one of those things that look like such small, insignificant details from the ground, but up close they’re some seriously impressive pieces of art. If your legs aren’t completely jelly after 624 steps, you can make your way into the cathedral, too. 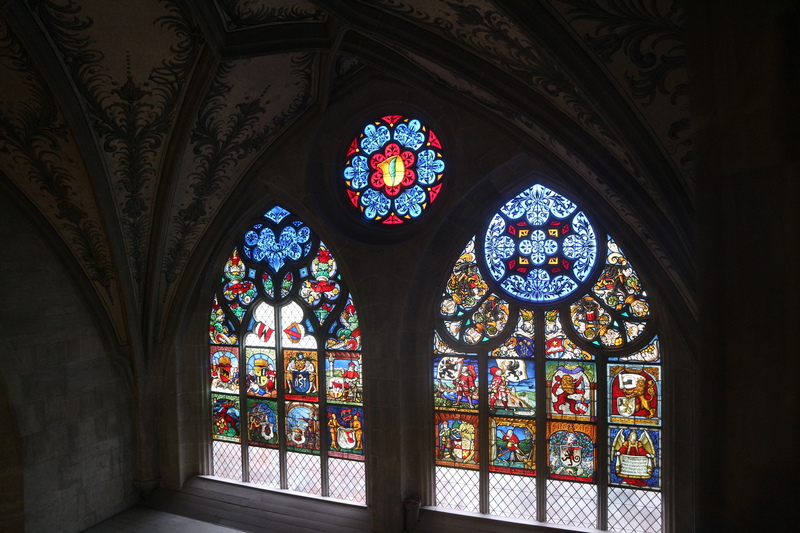 It’s small, but beautiful – the stain glass windows and ornate ceiling are worth the visit alone. There’s no entry fee, it’s just asked that you’re quiet and respectful, as it is still a functioning church with parishioners. 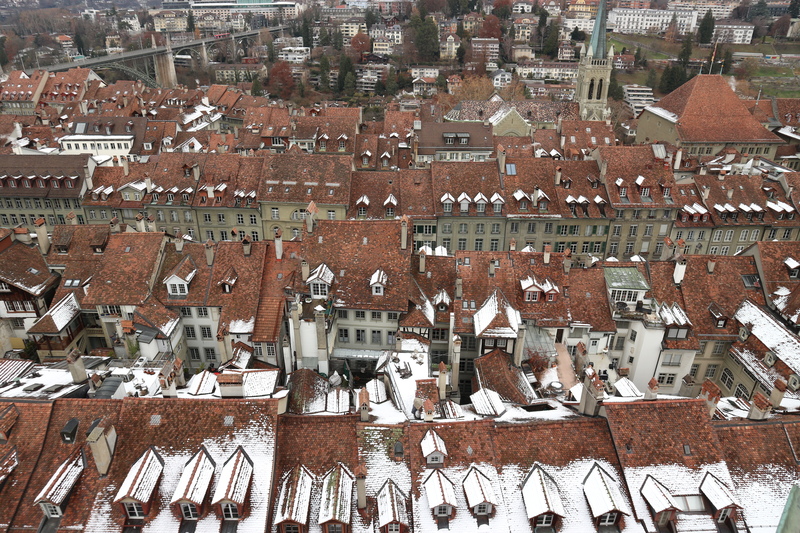 Because Bern’s historical centre is so small, climbing the bell tower really does give you the best view over it. And the good news is that when you’re done climbing, you’re in Switzerland, so a big pot of cheese fondue won’t be far away to replenish your energy stores. Everyone wins! Nice one. Included in my bucket list. It must be enchanting for you too! 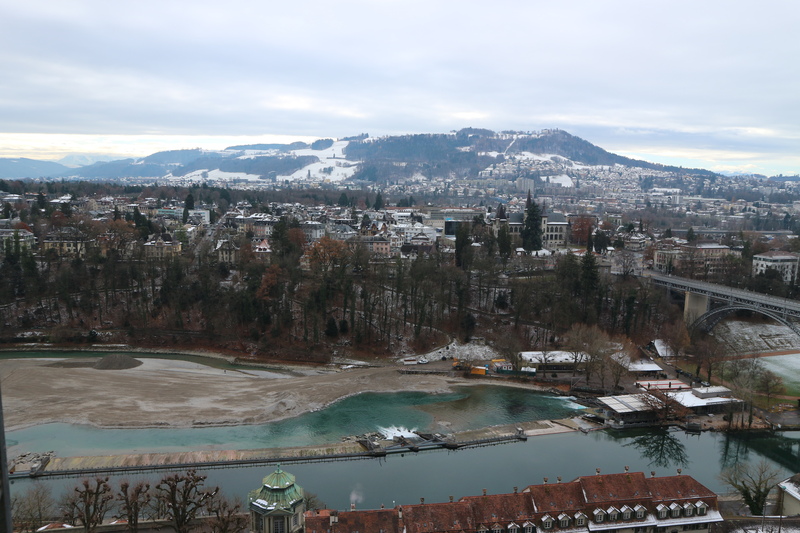 Thanks Dip – Bern is an amazing bucket list city, I hope you make it there one day!